Ngo Family Farm: kohlrabi "canh"
Ladle over rice and enjoy. What I particularly loved about making this canh was that everything (save for the fish sauce and sugar) was homegrown! 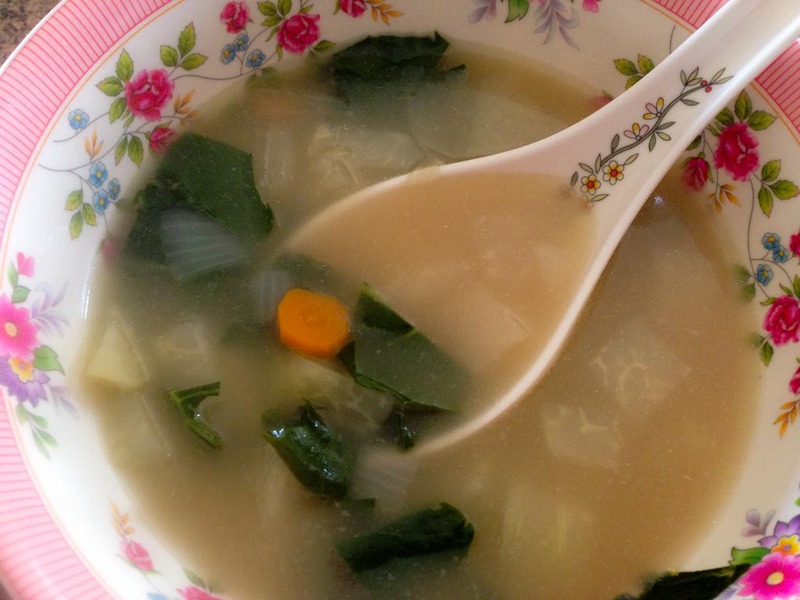 A humble soup, but a triumph of self-sustainability. Oh, WELL done! The humble soup has so much going for it. I never knew that kohlrabi could go in soup ~ of course it can! I love soup. And with our cooler than usual August, I'm already contemplating winter soup lunches! Interesting about the fish sauce. Sally Fallon mentions it in her book, Nourishing Traditions, but as you say, it's an acquired taste and I'm not sure I want to acquire it, LOL. There is much to be said about authentic ingredients, however. They can make or break a particular cuisine.